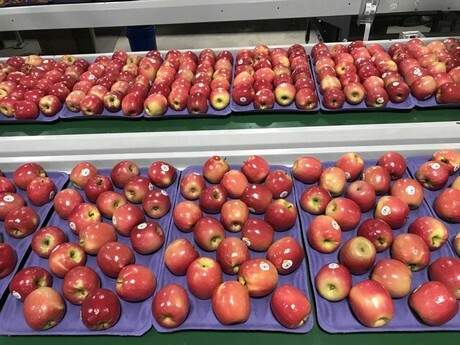 North American apple growers are headed towards finishing what looks to be a season with smaller volume. In terms of varieties left, Swindeman is working with Fuji, Gala, Red Delicious, Golden Delicious and Jonagolds primarily. “We’ll probably finish with galas before we do any of the other ones,” he says. Over at United Apple Sales of Lyndonville, NY, it’s aiming to pack apples through most of June which is about as per usual. “We still have plenty of McIntosh, Ruby Frost and Red Delicious varieties around,” says United’s Brett Baker. 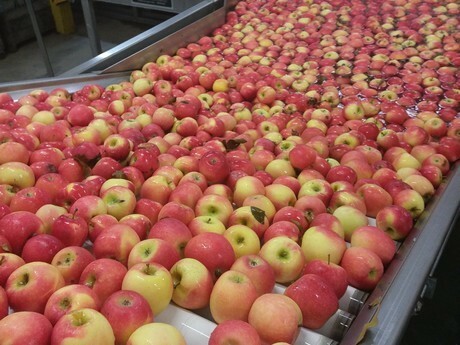 This season, domestic demand seems to be strong for apples. “It’s been good. It’s about the same, perhaps down slightly but that’s by design too trying to stretch a bit with our customers,” says Swindeman. Baker notes that right now, demand is strong though he’s anticipating that to drop somewhat thanks to Easter. “Historically demand around the week of Easter, so 5 days before and 5 days after, tapers off a little bit,” he adds.